YAY! I stumbled upon your blog this morning and I am in heaven! Thanks for sharing I cant wait to try some things out! 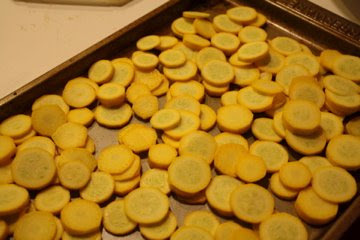 Can you do the roasted summer squash chips with zucchini? Excellent simple summer recipes. I love it!